Copper Nickel 70/30 flanges, ASTM B171 Cu-Ni 70/30 flanges, Cu-Ni 70/30DIN Flanges manufacturer, suppliers and exporters. ASTM B151, B152 UNS C70600 90/10 and 70/30 flanges, Copper Nickel 70/30 UNS C71500 Weld Neck Flanges, Cupro Nickel 90/10 Slip On Flanges Exporter. C71500 Weld Neck Flanges, Cupro Nickel 90/10 Slip On Flanges Exporter. Kalpataru piping solutions is leading manufacturer, supplier, exporters and stoickest for high quality copper nickel 70/30 flanges. copper nickel 70/30 flanges are widely used in has excellent resistance to sea water environments as well as many other hazardous elements presented to metals. Kalpataru piping solutions export, Supply & Manufacture copper nickel 70/30 forms like seamless pipe, tubes, plates, sheets, shims, perforated sheets, round bars, wires, perforated sheets, valves, perforated sheets and many others. Specification : ASTM / ASME SB 61 / 62 / 151 / 152. Class : 150 LBS, 300 LBS, 600 LBS, 900 LBS, 1500 LBS, 2500 LBS DIN. Kalpataru Piping Solutions pack copper nickel 70/30 flanges properly and carefully to ensure that there is no damage to the copper nickel 70/30 flanges during the transit. We pack copper nickel 70/30 flanges in wooden boxes and supply it all over the world. 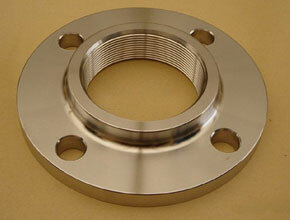 High-Quality copper nickel 70/30 flanges – Quality Assurance! Kalpataru Piping Solutions Is One Of The Most Trusted Exporter, Supplier, Stockist & Manufacturer Of copper nickel 70/30 flanges. Kalpataru Piping Solutions Offers High-Quality copper nickel 70/30 flanges. We Inspect Our copper nickel 70/30 flanges At Each Stage Of Production Process, To Make Sure That The Quality Of The copper nickel 70/30 flanges Is Not Compromised. They Are Examined To Confirm Their Standards And We Also Offer Third Party Inspection Of Our copper nickel 70/30 flanges On Demand Of Our Clients. Kalpataru piping solutions even Offer Test Certificates For Our copper nickel 70/30 flanges. We Pack copper nickel 70/30 flanges Properly And Carefully To Ensure That There Is No Damage To copper nickel 70/30 flanges During The Transit. We Pack copper Monel k500 perforated sheets In Wooden Boxes And Supply It All Over The World. Why Choose Kalpataru Piping Solutions For Buying copper nickel 70/30 flanges? Huge Stock Of copper nickel 70/30 flanges. Kalpataru Piping Solutions Offer High-Quality copper nickel 70/30 flanges With Test Certificates. We Even Allow Third Party Inspection.